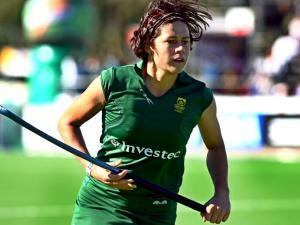 When you think about hockey in South Africa there is a name that stands brighter than any and that name is Pietie Coetzee. Pietie is alone in holding the World Record of the most International goals with a total of 234 goals and more to come. 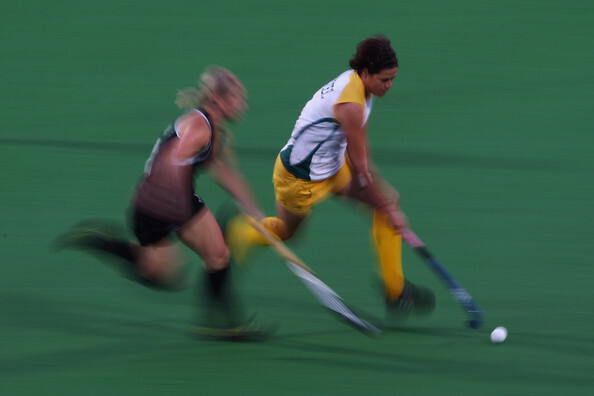 With the Ladies Hockey team under Giles Bonnet playing some thrilling hockey and qualifying for the Olympics, Pietie could well be a name the whole world. All Things Jabu (ATJ): Hi Pietie, thanks for the chance to chat to you! You are the most recognisable name in South African Hockey; do you find that you are under extra pressure to deliver as a result? Pietie Coetzee (PC): Yes it does create an ellement of pressure as people generally have an expectation. But when I think about it that expectation was only created by me. So if I could cause that expectation I should be able to deliver on it on a regular basis which then does not translate to pressure. In my mind I just do what I know and I really enjoy it. I love pressure and big moments. It is what keeps me going. ATJ: You have 234 goals now at an incredible rate of almost one goal per game. Have you got a target that you would like to reach before you finally hang up your boots? PC: My target was initially the world record of 220. Now that is in the bag I would like to go for 250. I do not have an end target as it is not the reason I play. Having a goal target just gives me a little extra push. This is a team sport and at times not easy to score so I can not afford to think in terms of my personal goal tally. My main priority is to do what is expected of me by the team. ATJ: Who do you think of our young crop of ladies coming through could give it a go at breaking your record? PC: That is a seriously tough question. No other player had the opportunities that I had. No other player is in the same position as me. I think there are very talented young individuals in our squad and they will all write their own story. Perhaps it’s not breaking the world record but it will be something amazing. ATJ: You are currently based in Holland. What is the level of hockey like there? PC: The level is much higher than we see at club level in SA. In fact I would say the level of the weekly club games here is about as high as an IPT final in a good year. Every single aspect of the game is approached in a much higher level here. 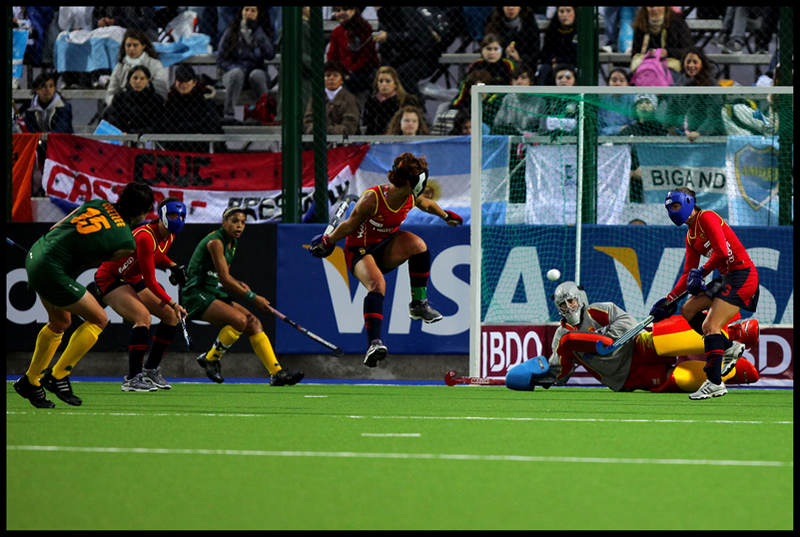 ATJ: What can South Africa do to bridge the gap with the European nation in terms of levels of hockey? PC: We need to get a solid structure in place to bring players from u/18 level through to senior level. We need to improve our coaching across the board. We need to invest in our club league and get our number of participants up. It feels like an enormous task at the moment but I believe it is possible. 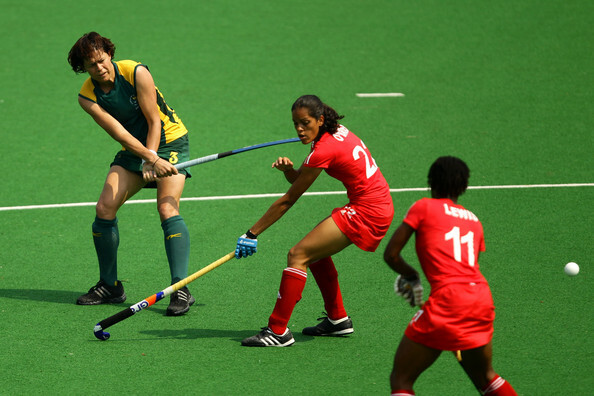 ATJ: Having retired once before from International hockey, what made you reverse that decision? PC: My current coach, Giles Bonnet proposed to me to make a return. He showed me that anything is possible and opened my eyes to a way of changing obstacles into possibilities. ATJ: Who are your biggest supporters that keep you motivated and performing? PC: I am the only one who can motivate me. ATJ: Would you rather win an Olympic Bronze medal or Commonwealth gold? PC: I choose both! If that’s not an option I will go for Olympic bronze. PC: I have a website www.pietiecoetzee.co.za. I am also on facebook and twitter. I would say the latter two would be best as I am more active on them than the website. ATJ: With Hockey not being a professional support in South Africa, have you had a lot of sponsorship assistance along the way? PC: Oh yes. It is the only way I can actually afford to play hockey at the highest level. I have Gryphon Hockey who supports me tremendously. I also have a company called Pro Freeze who sponsors me. Then there are some individual sponsors of people who are just incredibly generous in their assistance. ATJ: What would your goal be for the Olympic games? PC: For the team to end in the top 8 and challenging for the top 6. Personally I would like a solid performance and a goal a game would be much appreciated. 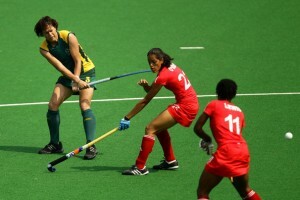 ATJ: Who do you think is South Africa’s best medal hope at the Olympics? PC: Cameron van den Bergh (Swimming), Sifiso Nhlapo (cycling), Khotso Mokoena (long jump) and SA Womens Hockey! ATJ: The Womens side captivated South African audiences with the way they qualified, how much of this is down to Giles and his coaching team? PC: Everything except being on the field and executing it. Giles and our management do all our preparation, tactics and general team set up. So it’s everything. All we have to do is execute the plan on the field. We are expected to perform and play with freedom and a fighting spirit. ATJ: Speaking of coaches, who is the best coach you have played with? PC: Giles Bonnet by a long way. ATJ: What would you like to do when you do decide to quit playing? PC: I would like to live in a quiet spot and start a family. I would not mind spending a lot of time with my family and friends and still travel the world in my own time. ATJ: Thank you very much Pietie! Great interview, how about posting the YouTube link for the goal PC says is her greatest. Sounds awesome! Good luck PC! Win the gold! Thanks Zubair, it has been inserted now!